Did you know that Hook Grasses can control water loss by folding up their leaves? Contrary to their common name, Hook Grasses are not grasses but Sedges and they belong to the family Cyperaceae. 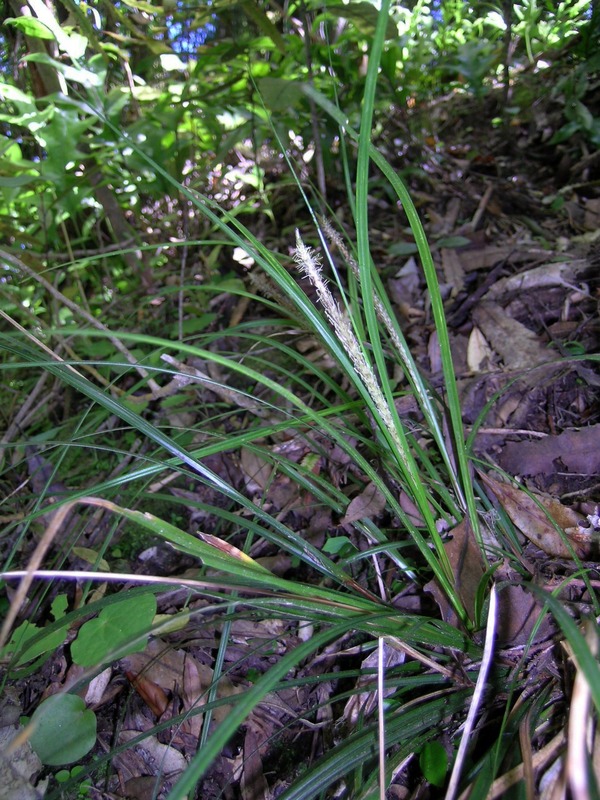 Sedges are commonly found in wet or poorly drained habitats. Hook Grasses, however, can be found in a much greater diversity of habitats. In New Zealand, Hook Grasses can grow in costal scrub, forests, swamps, grasslands or herbfields in sub-alpine and alpine habitats. Habitat of a native New Zealand Hook Grass. Photo by C.A. Lehnebach (c) Museum of New Zealand Te Papa Tongarewa. Although Hook Grasses have colonised drier habitats, water is still important for their survival and they use a very clever system, operated by so-called bulliform cells, to regulate water loss. Bulliform cells are large, bubble-shaped cells found in the upper surface of the leaves. In Hook Grasses these cells are found all along the midrib. Cross section of a leaf of a Hook Grass under the microscope. Photo by C.A. Lehnebach (c) Museum of New Zealand Te Papa Tongarewa. When water availability is low, these cells shrink causing the leaf blade to fold. Each side of the leaf blade, at either side of the midrib, moves towards each other like closing a book. By folding their leaves these sedges reduce the area exposed to sunlight and therefore water loss by evaporation. This mechanism allows water to be maintained inside the plant. Once water is available again, these cells enlarge and the leaf blade unfolds again. Oh great. How adjustable these grasses are. Hope if humans may also learn something from this then it will not be a big deal in saving water. What a beautiful cross section! Never knew that hook grasses could do that! This is an excellent survival tactic for them when water is scarce. 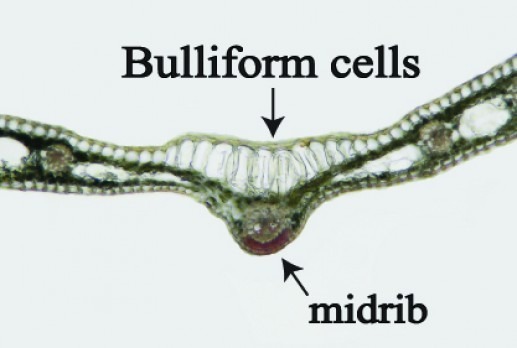 very interesting – are these bulliform cells an invention of Hook Grassses or can they also be found in other plants?